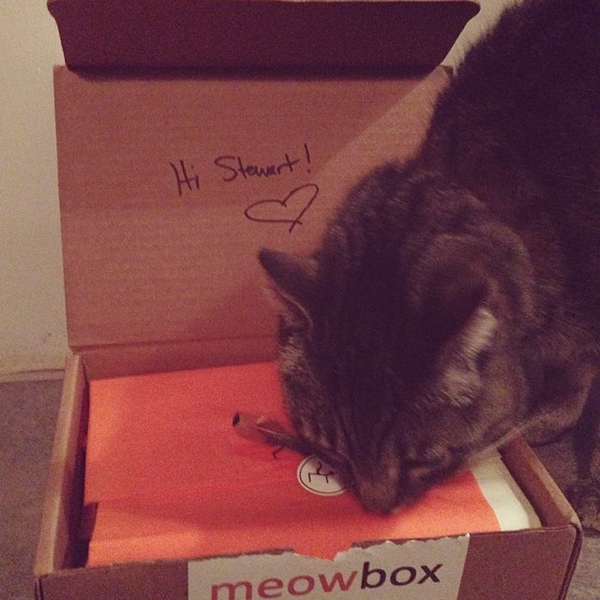 After many months of watching enviously as Oscar and Hugo rooted through and enjoyed Bark Boxes (with the exception of one month when his biggest fan sent him a hand crafted cat box) Stewie is signed up for his very own Meowbox! He was immediately intrigued by the feather attached to the tissue paper and the handwritten greeting to him on the inside of the lid. It came with toys, treats, food samples and cat grass for me to grow for him. 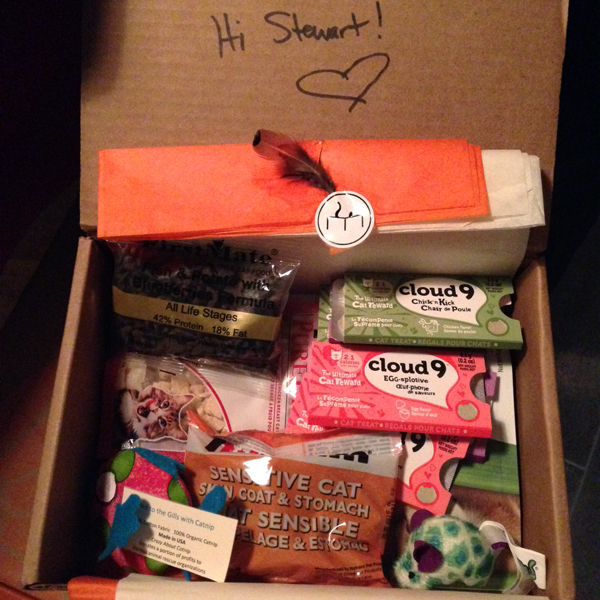 He is loving the Cloud 9 treats and I can't wait to grow the grass for him. We have one happy cat in the house.